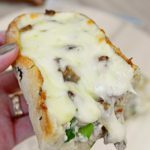 Breakfast ciabatta bread is perfect for nesting fluffy oven baked omelette, full of tasty ham, cheese, mushrooms and scallion! This egg boat is a super easy and quick way to serve breakfast on the go! Are you a breakfast lover too? I can’t possibly imagine stepping outside the house without having a nice, nutritious breakfast. Even when I’m rushing (and that pretty much happens on a daily basis) I must have breakfast! 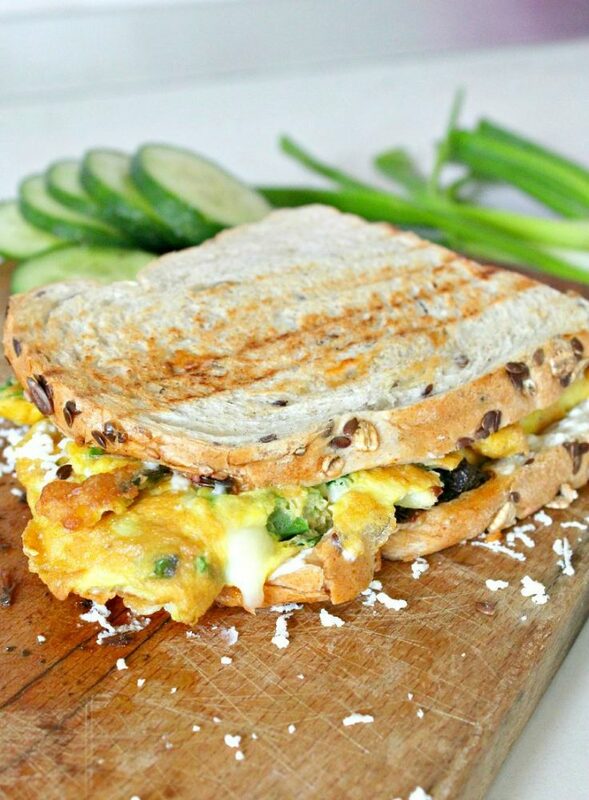 And quick & easy recipes like this egg boat are just what I need on hectic mornings! 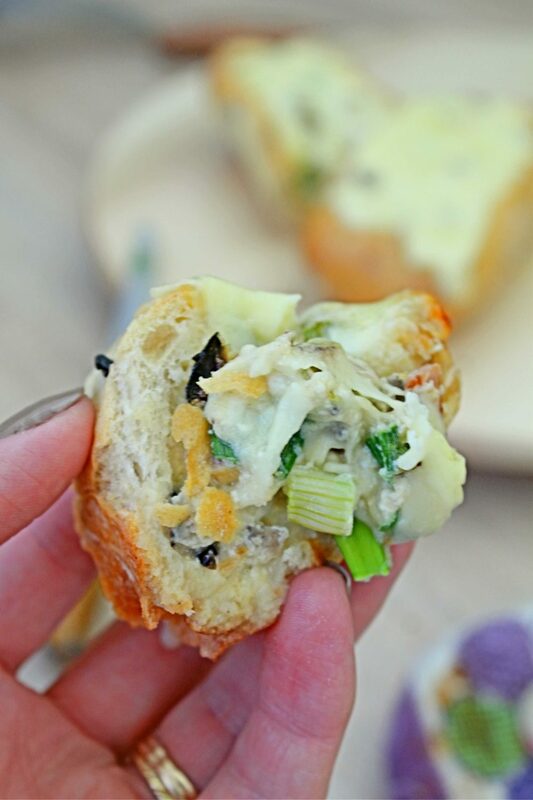 My breakfast bread is filled with a fluffy omelette which I normally make with ham, mushrooms, green onions and ham but any option works just as fine. 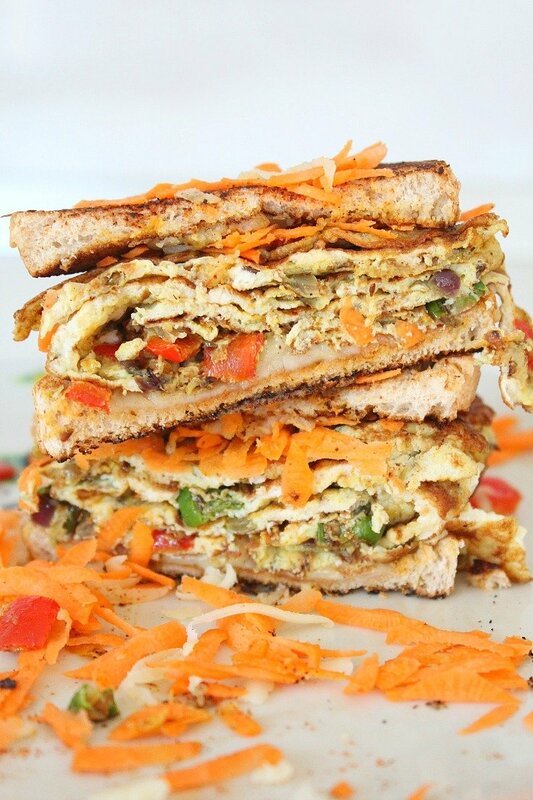 Adapt this recipe to your favorite omelette for the most delicious and easy egg boat on the go! Such a wonderful, filling, nutritious way to start your day, that will keep your energy levels up for hours! 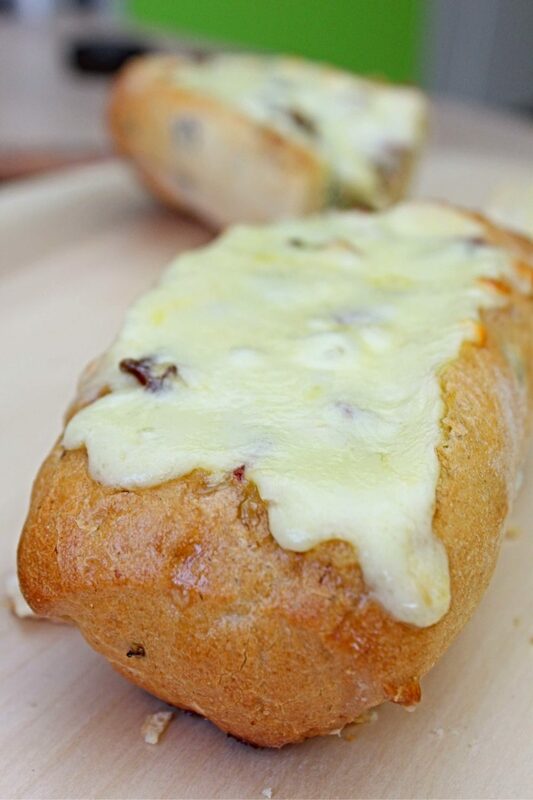 This egg boat can be served as a whole or cut into slices if you’re serving breakfast at home and truly wanna enjoy the amazing flavors in this breakfast ciabatta. I recommend the second option but on crazy mornings when you need to storm out the door in minutes, grabbing your egg boat and serving it on the go is much better than having no breakfast at all! 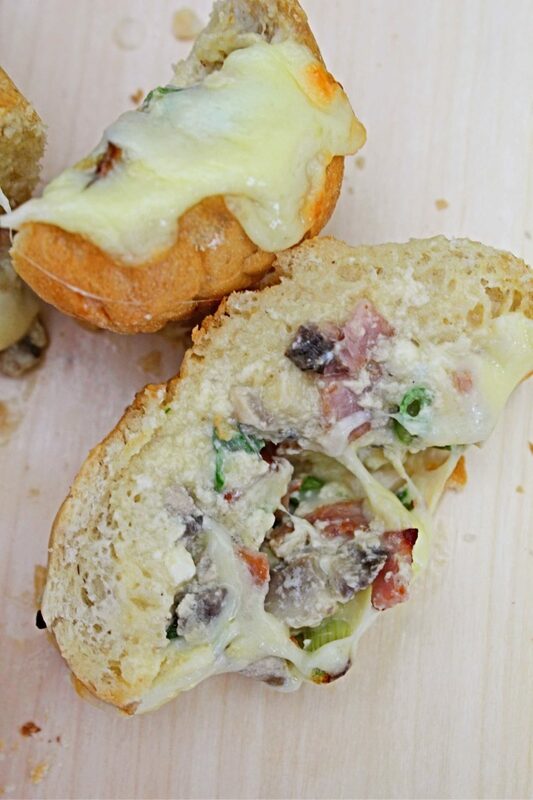 My breakfast bread recipe is for 2 small ciabatta breads that will feed 2 people. Please feel free to adjust as needed. In a medium bowl, beat the eggs with a small whisk. 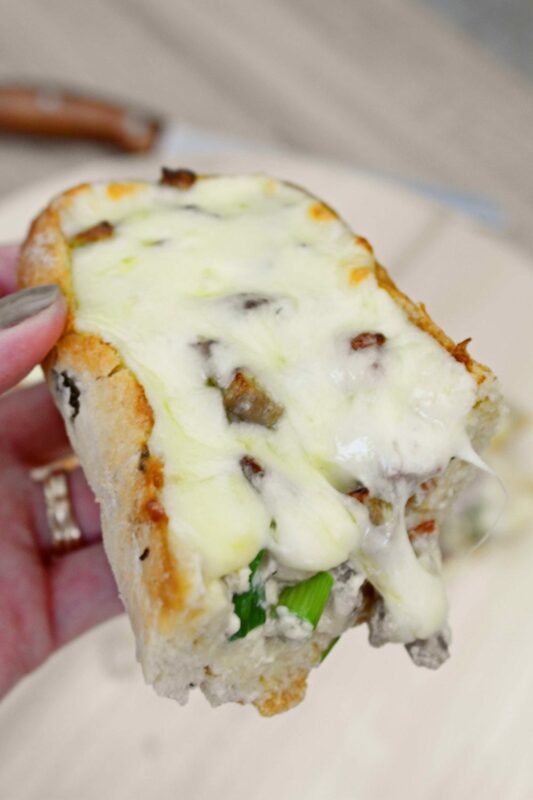 Add milk, mushrooms, scallion, cooked ham, provolone, feta and sour cream and mix to combine. Using a sharp knife, make a rectangular hollow in each bread and remove the crumbs. Fill the hollow with the omelette mixture above, half for each bread. Place the breads on a baking sheet or a pizza pan and bake in the oven at 350 F for about 25-30 minutes or until the omelette gets a golden crust. 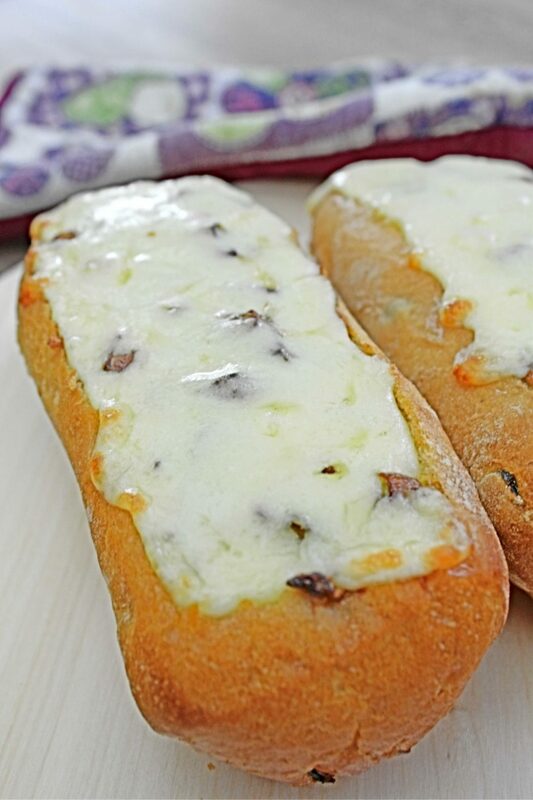 Remove pan from the oven and add diced provolone then return to oven and bake until cheese is melted. Best served warm, as a whole or cut into slices.